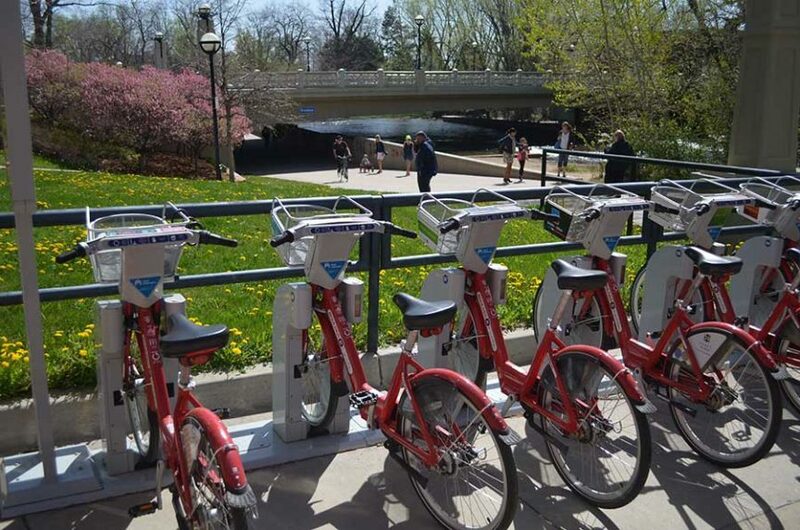 The City of London is currently completing a business case to determine the feasibility of bringing bike share to London. You have 100 characters left. 6. How often would you see yourself using bike share in London? 8. Looking at the list below, which potential service areas would you use bike share in? 10. Please provide your comments about the Guiding Principles for this project (shown top right). 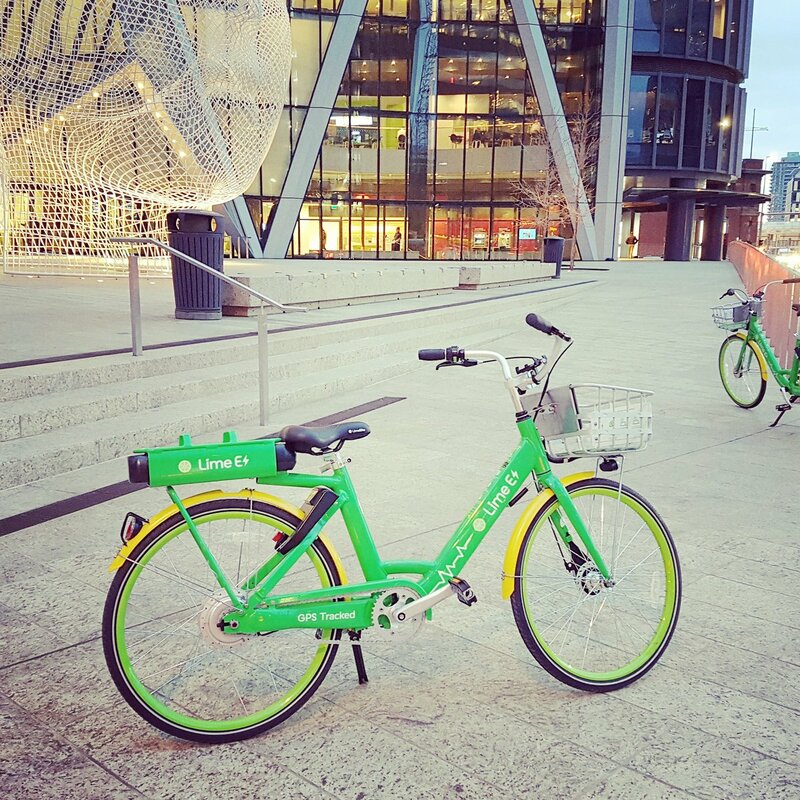 Bike share is a transportation service where bicycles are available at a cost for shared use to individuals on a short-term basis. These systems allow people to borrow a bike from one location and return it to another location. These systems can handle both “pay-as-you-go” one-time users as well as regular users with discounted membership fees. 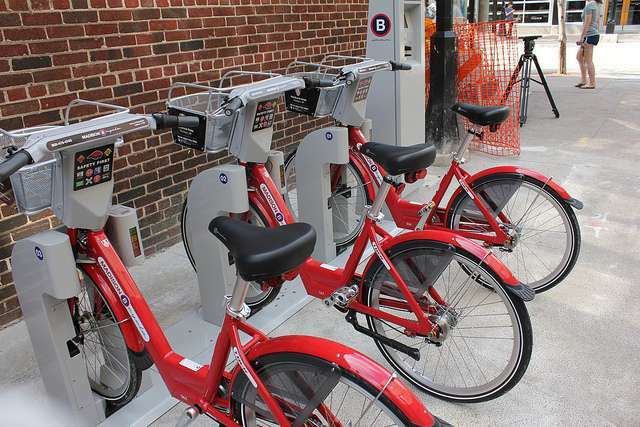 Many bike share systems use “docks” that are special bike racks for locking the bike, and only release it by payment through a payment kiosk or by using a smart phone. The user returns the bike by placing it in a dock, which locks it in place. 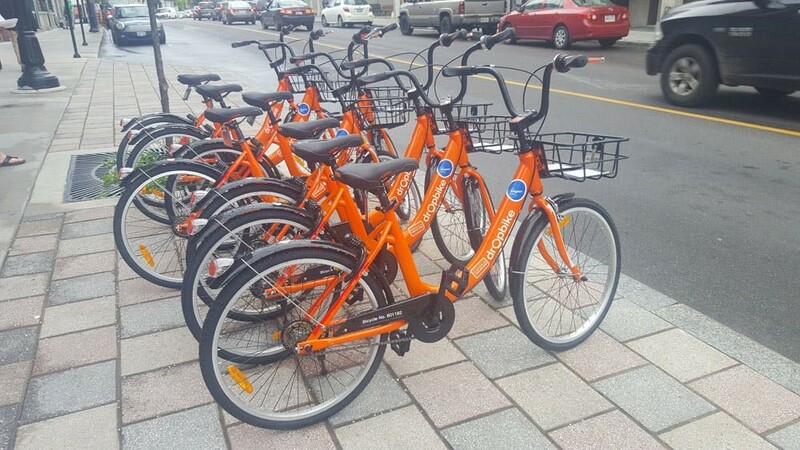 Other systems are dockless, where bikes are picked up and returned to “havens”, or areas designated for the bikes. These havens may be designated bike racks or an area painted on the ground. 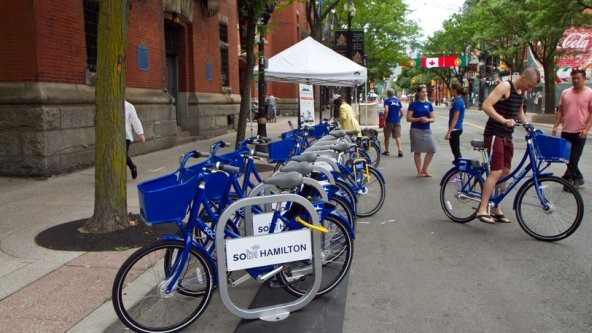 Hybrid systems use a combination of docks and designated areas for bike parking. These bikes have built-in locks. For all major bike share services, smartphone mapping apps show nearby available bikes and open docks. 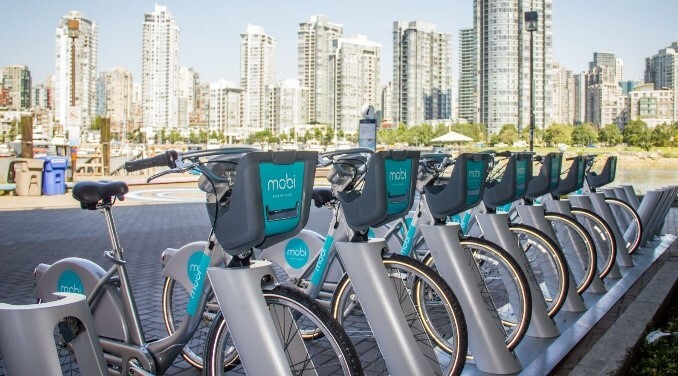 As of December 2018, there are over 2,000 bike share systems in the world, 18 of which are in Canadian communities. Hybrid system where bikes are returned to hubs. 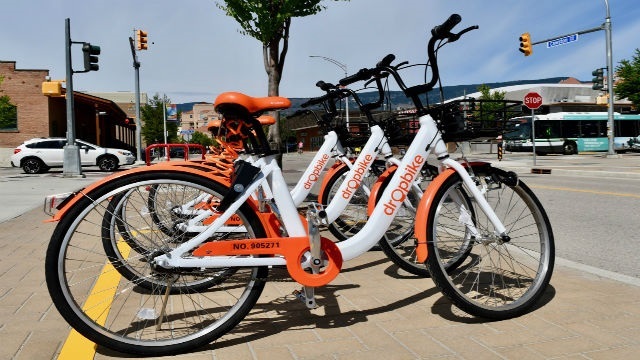 The City of London is completing a business case to determine the feasibility of bringing bike share to London. This will include the preparation of a business case to assist with decision-making on whether or not a bike share system makes sense for London. 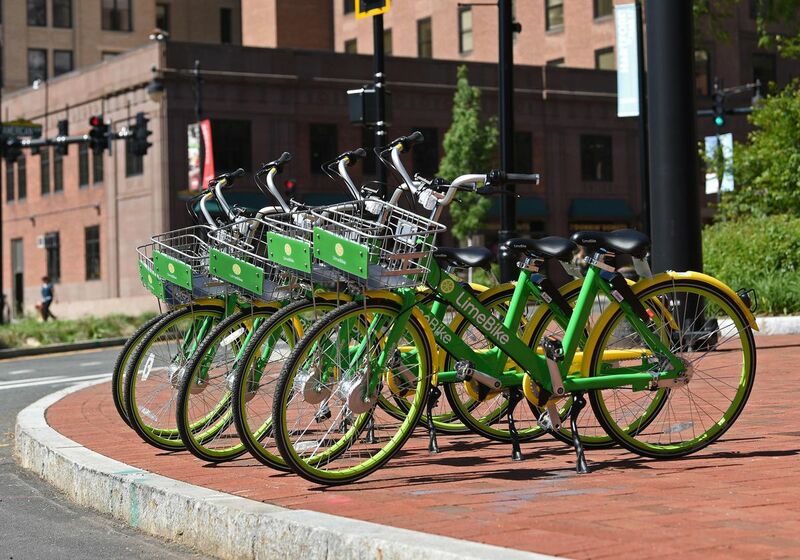 A consulting team comprised of IBI Group (Hamilton office) and Four Square ITP (based in Rockville, Maryland) have been hired to work with City staff to determine the feasibility of bike share. These consultants specialize in bike share systems and active transportation. 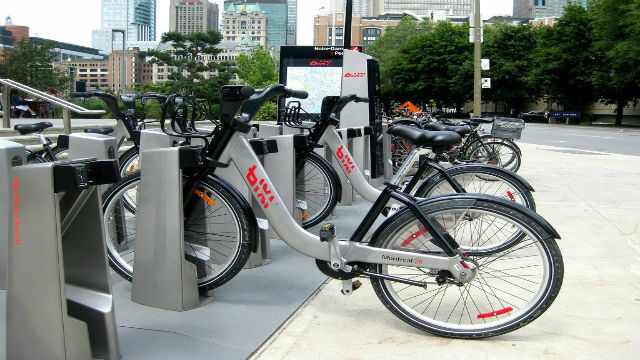 Review existing bike share systems in operation in North America. Conduct a market analysis of existing cycling use and potential uptake of a bike share system in London. Seek input from the public. Provide a high level summary implementation plan (including factors such as recommended service area(s), type of system, and criteria for siting bikes). City staff will submit a business case and related details to Municipal Council for their review and direction in 2019. 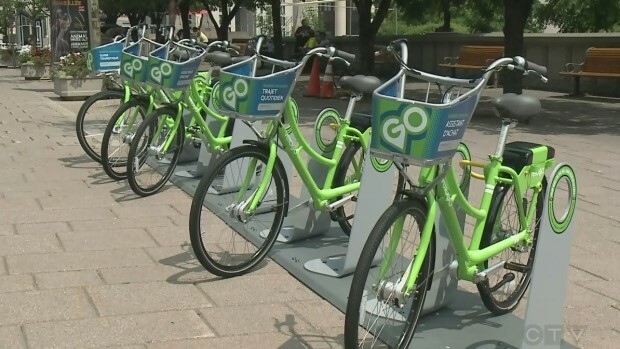 The project scope does not include the review of electric kick scooter sharing services because they are not allowed on Ontario roads or London multi-use pathways. 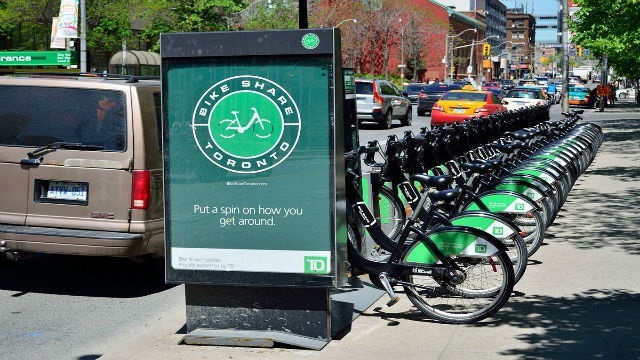 Your input on bike share will help inform the City's business case on the potential for a program in London. Please complete the questions below. To the right are the proposed Guiding Principles for this project. We are looking for early feedback based on your experiences, desires and initial thoughts on bike share systems. The personal information collected on this form is collected under the authority of the Municipal Act, 2001, S.O. 2001, c. 25, and will be used to provide further information to you with respect to Bike Share. General comments will become part of the public record. Questions about this collection should be addressed to Jamie Skimming, Manager, Environmental Programs, 355 Wellington Street, 2nd floor, London ON, N6A 3N7. Tel. 519-661-CITY (2489) x 5204. Sign up to stay involved and receive further notification on bike share. 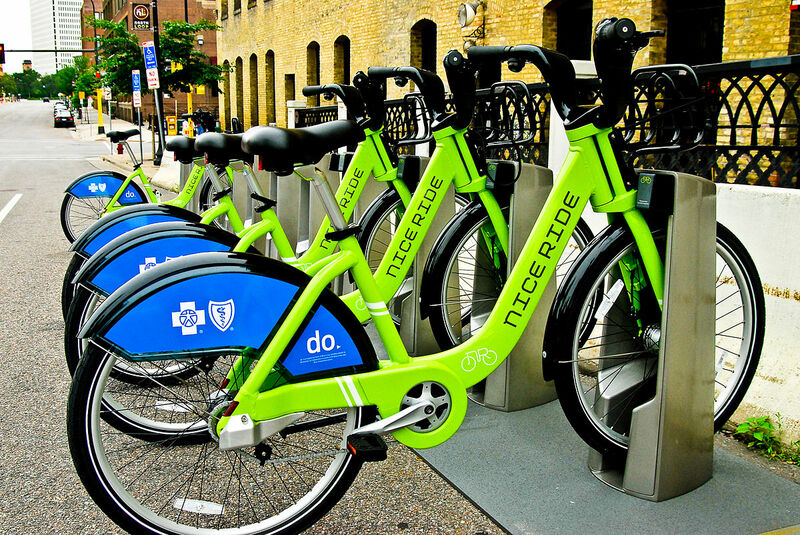 Bike share is a transportation service where bicycles are available at a cost for shared use on a short-term basis. You can borrow a bike from one location and return it to another location. Have questions or want to learn more about this study? Get Involved London is a place for Londoners to learn about and participate in City projects and initiatives. Your engagement and feedback help us move towards a better, more focused and sustainable future. This Privacy Statement describes how Harvest Digital Planning Pty Ltd (12 148 958 927) (Harvest) collects and uses your personal information collected through its platform called The HiVE. Harvest respects the rights and privacy of all individuals and is committed to complying with Ontario's Municipal Freedom of Information and Protection and Privacy Act (MFIPPA) and protecting the personal information Harvest holds. All personal information, such as name, address, telephone number and property information included in all submissions, will be kept confidential. Only comments will become part of any public record files for projects. Questions about this collection should be addressed to the Manager of Communications, City of London, at 300 Dufferin Avenue, London, ON, N6A 4L9. Tel: 519-661-2500 ext. 4782. (e)	where required or authorised by law. If you provide us with your personal information you will not receive direct marketing communications from Harvest unless otherwise stated. You generally have the right to access your personal information free of charge, subject to some limitations contained in the Municipal Freedom of Information and Protection of Privacy Act. You may correct any errors or request that Harvest deletes all or some of your personal information. You can also opt out of any further contact from us. If a privacy breach occurs, Harvest will notify you where possible of the breach and seek your direction about how you would like to respond to the incident. Will this Privacy Statement change? Harvest may amend this Privacy Statement from time to time. Amendments will be effective immediately upon notification on this website. The following Terms and Conditions govern the use of Get Involved London (“the site”). The platform is owned and operated by us, Harvest Digital Planning Pty Ltd (Harvest), on behalf of The City of London. Get Involved website contains the copyrighted material, trademarks, patents, trade secrets and other proprietary information (“Intellectual Property”) of Harvest and its suppliers and licensors. Harvest owns and retain all proprietary rights in the intellectual property. All intellectual property in the content of this site including without limitation to text, software, source code, pages, documents and online graphics, photographs, sounds, audio, video and other interactive features are owned by or licensed to us. How do you participate in the City of London? Pick all that apply.